The architects used white brick for the exterior of the house, as well as elements of the interior, including the fireplace. Natural materials such as cedar timber and hardwood dominate the verandah and extend into the interior. This combination reflects the varied mix of industrial and residential buildings, garages and outbuildings in the neighborhood. A simple white palette dominates the interior and is set off with elements in grey concrete, colored timber and grey tint mirrors. 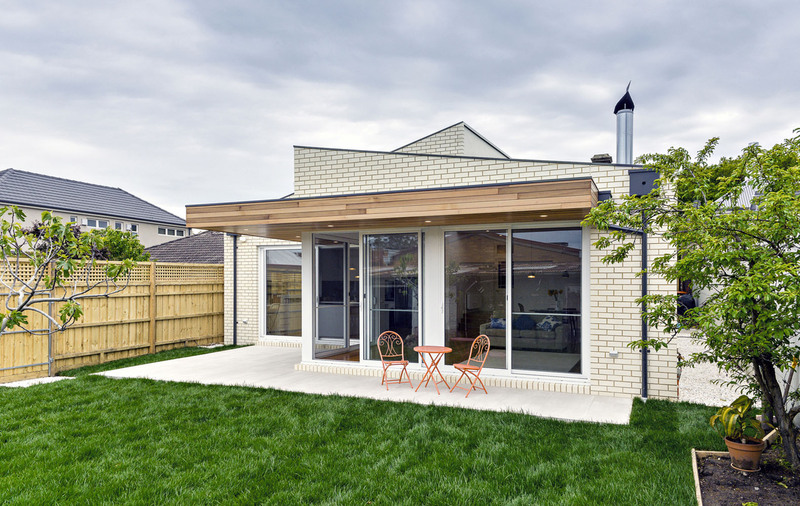 The front of the house was upgraded, while the rear features a new L-shaped open-plan kitchen, living and dining area with large glass doors that open onto the rear verandah. The architects used white brick for the exterior of the house, as well as elements of the interior, including the fireplace. Natural materials such as cedar timber and hardwood dominate the verandah and extend into the interior. This combination reflects the varied mix of industrial and residential buildings, garages and outbuildings in the neighborhood. A simple white palette dominates the interior and is set off with elements in grey concrete, colored timber and grey tint mirrors. 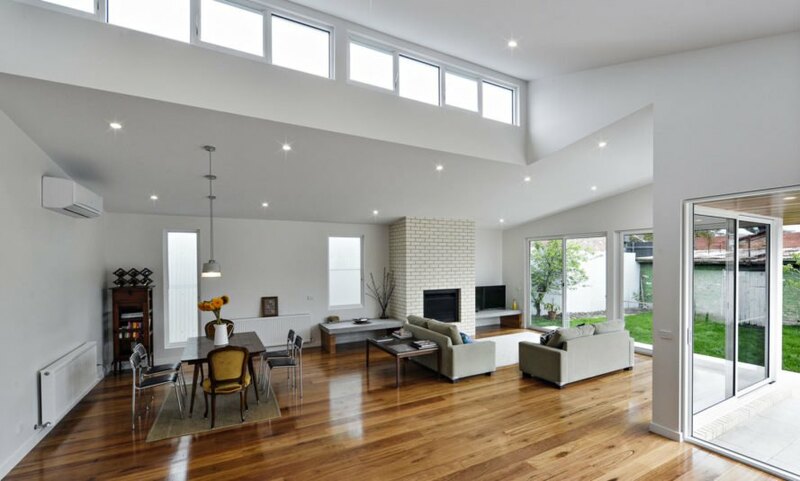 The front of the house was upgraded, while the rear features a new L-shaped open-plan kitchen, living and dining area with large glass doors that open onto the rear verandah.